In Saratoga County, we are proud to honor our Military Veterans right here at home. The Saratoga County F.A.V.O.R. Program (Find. Assist. Veterans. Of. Record.) is dedicated to educating and assisting veterans regarding the importance of recording their original DD-214 discharge document with the County Clerk’s Office. By doing so, veterans and their families are readily equipped to garnish a variety of benefits and programs available to them in honor of their service to our Country. Eligibility is for veterans or the widow/widower of a veteran. Eligibility is dependent upon an honorable discharge from the United States Military. F.A.V.O.R. cards must be applied for in person only. Please remember to bring your photo ID. Receipt of the card requires the filing of original discharge papers (DD-214) at the Saratoga County Clerk’s Office. The Saratoga County Veterans F.A.V.O.R. 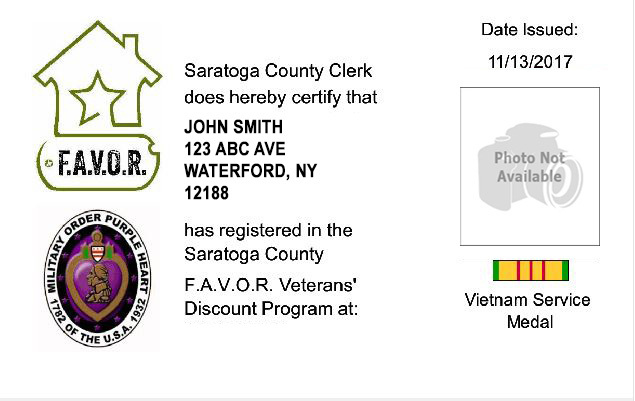 discount program encourages Saratoga County veterans to file their original DD-214 discharge papers with the County Clerk’s Office. We will scan and file the DD-214 which will protect the original document forever. The DD-214 is considered a sealed record and will only be accessible in the future by the person on the discharge form (DD-214), or their immediate family members. At any time, the Veteran or immediate family members may request a free certified copy of the document which is as good as the original document. In return, they will receive a discount card that can be used in over 300 local businesses and be eligible for a number of Veterans benefits. 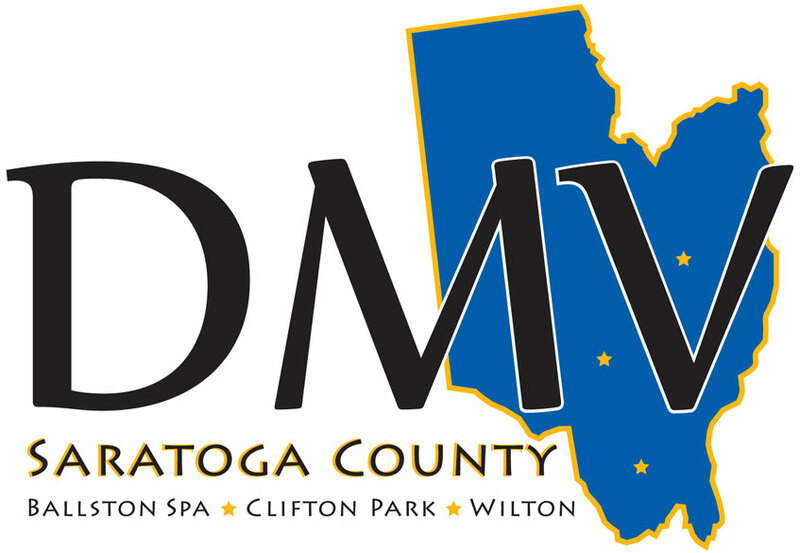 Applications must be done in person at the Saratoga County Clerk’s Office, located at 40 McMaster Street, Ballston Spa, NY 12020. Saratoga County is grateful to all of the businesses who have agreed to participate in this program. Discounts include: automotive, banking/financial, chiropractors, computer services, construction/home repair, daycare, florist, hair salon/barbershops, health and wellness, legal, lodging, museums, real estate, recreation, restaurants, retail, utility service/HVAC, veterinarians/animal care and many more! To see a complete list of all of our participating businesses select one of the options below. We want you to help us find new merchants who wish to participate. Have a business you frequent often (i.e. shop, dine, auto repairs, etc.) or know a friend or relative who owns a business? Feel free to drop off a Merchant Application with them.